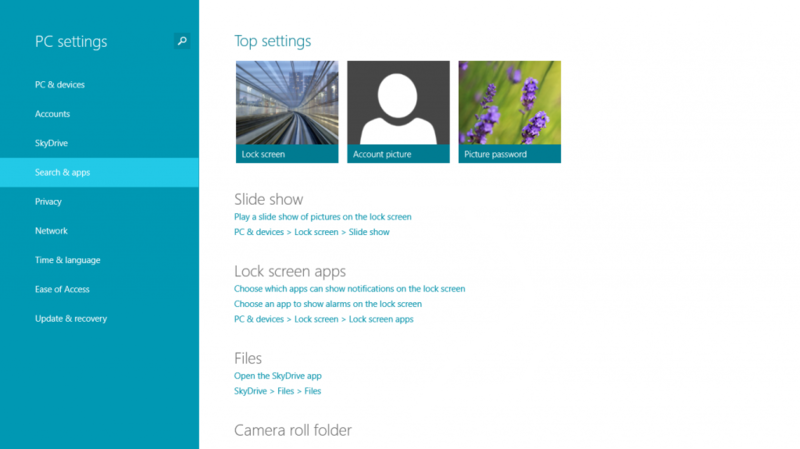 How to Change your Default Program to Open Files in Windows 8.1? Step 1: Go to the very right corner at the bottom of your desktop screen until the Charms Bar appears. Click “Settings” on it. 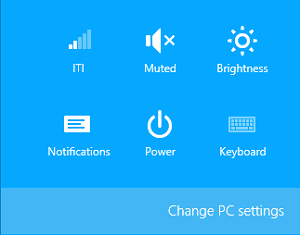 Step 2: You will get a few options where you need to click “Change PC Settings” at the bottom of the screen. 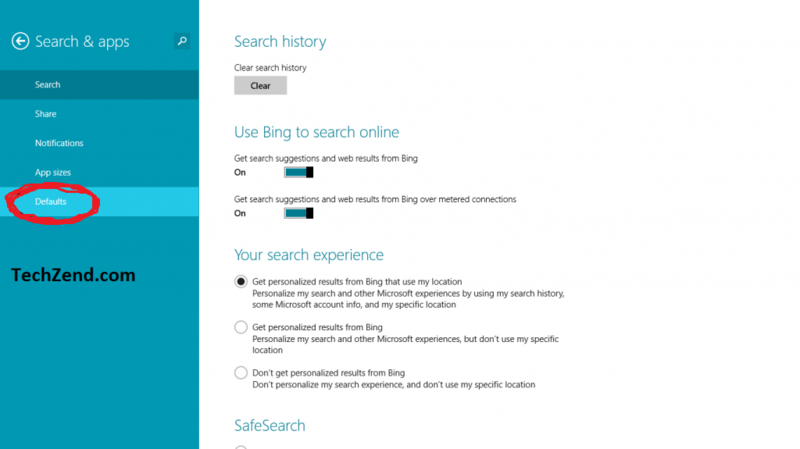 Step 3: Now you will see “PC Settings” menu where you need to select the category “Search & Apps” as it has been shown in the image below. Step 4: In the next section, you need to select “Defaults” category from the given list to move to the next section. Step 5: Here, go to the Default “Photo Viewer” and click on the “+” icon. 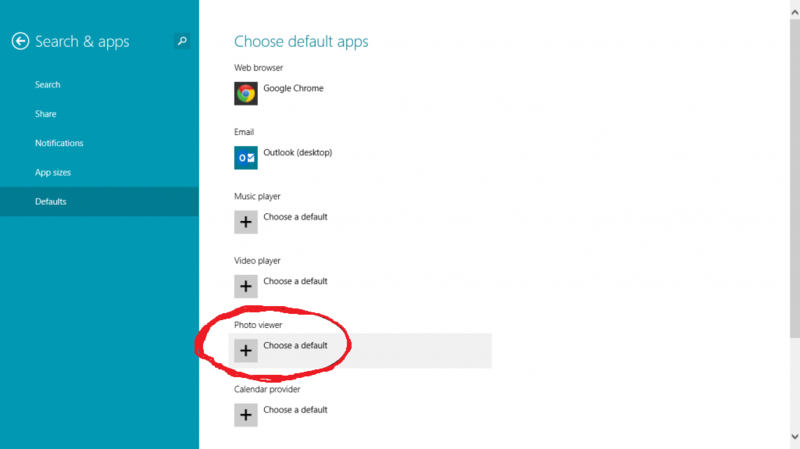 You will see some relevant apps where you need to select “Windows Photo Viewer” to set it as your default app to view your photos. 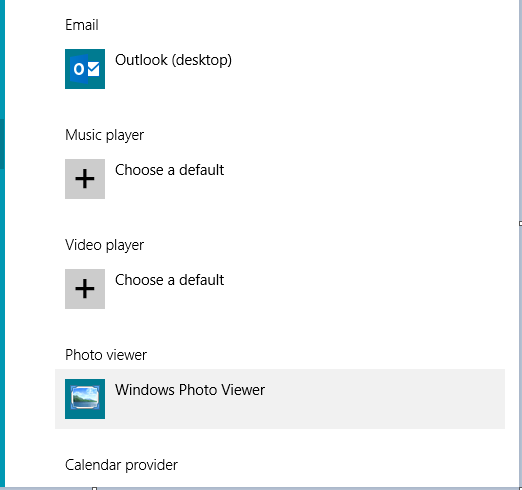 Step 6: Now you will notice the icon of “Windows Photo Viewer” is appearing instead of “+” icon in Photo Viewer category that shows you have surely set your desired photo viewer as a default one.